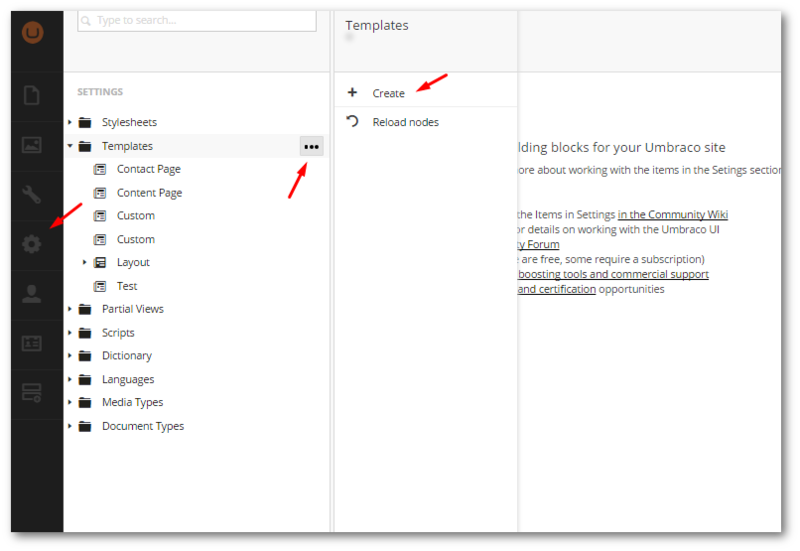 In Umbraco, we can create containers that content editors can use to create a hierarchy of pages but as of yet we have no way of rendering that data on a website. In order to do that, we must create a template. 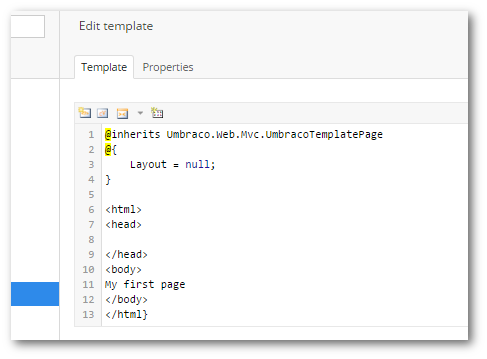 So, today we’re going to cover how to create a simple costum template in Umbraco using matching MVC view to render the HTML. 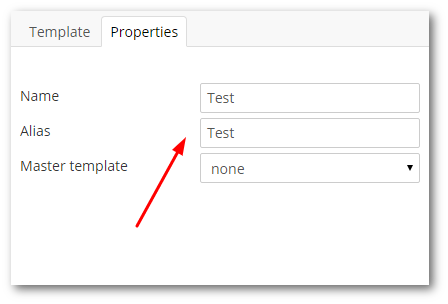 Like ‘Document Types’, you can see the installed templates within your Umbraco website in the Settings section, which can be found in the left-hand section panel, under ‘Settings’ -> Templates. 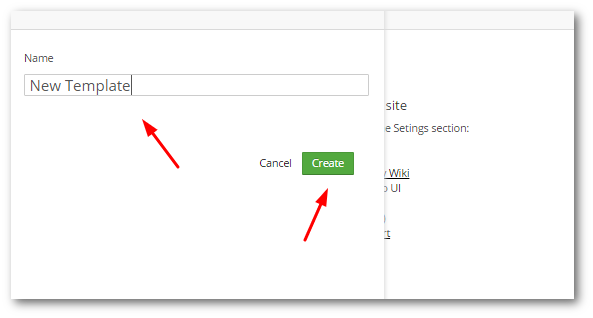 In here you can create a new template definition by selecting the ellipse next to the templates folder and selecting create. Create a name when you get presented. After you have created the template, you should see a text editor that will allow you to add in HTML and CSS. 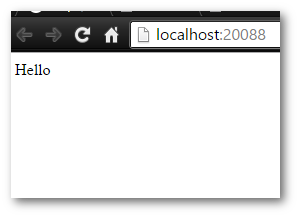 In here you can add in any HTML that you want. When you create a template, a matching view will be created, in the ‘Views’ folder in your websites webroot. 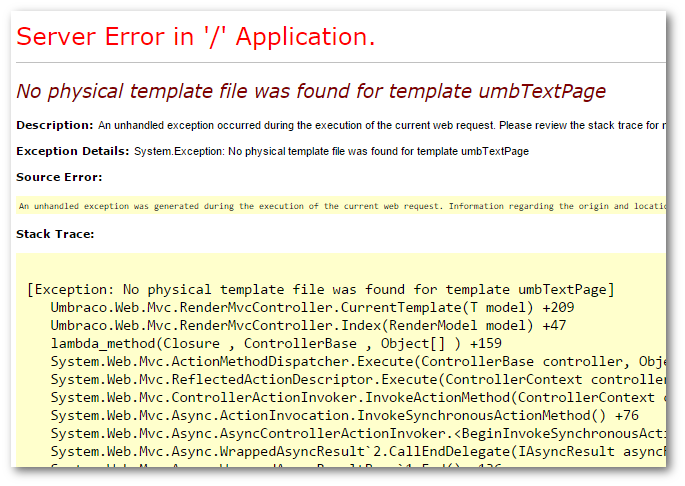 So, now we have a very basic template defined in Umbraco the next step is to attach it to a ‘Document Type’. 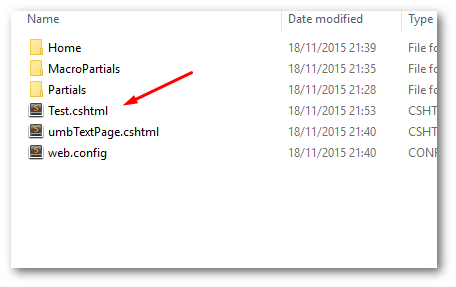 Go to the ‘Document Type’ section, select the document type you want to assign the template to and look in the ‘Info’ type. 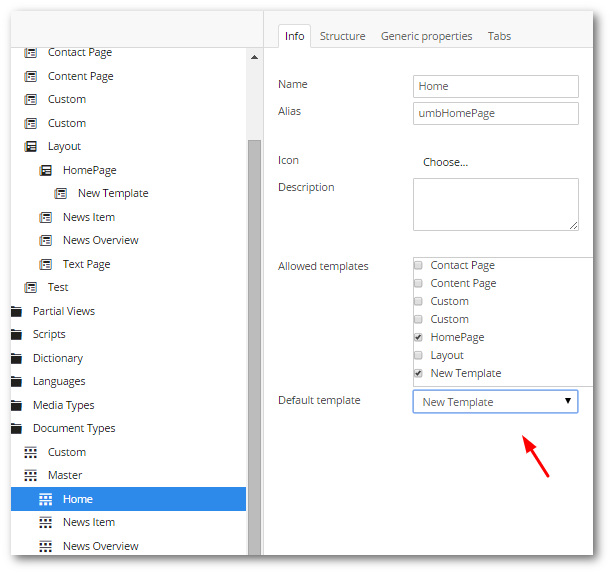 If you want to change the template on an existing page, go to the ‘Content’ section in the Section menu and select the page you want to update. Navigate to the ‘Properties’ tab and go to the ‘Template’ section at the bottom. 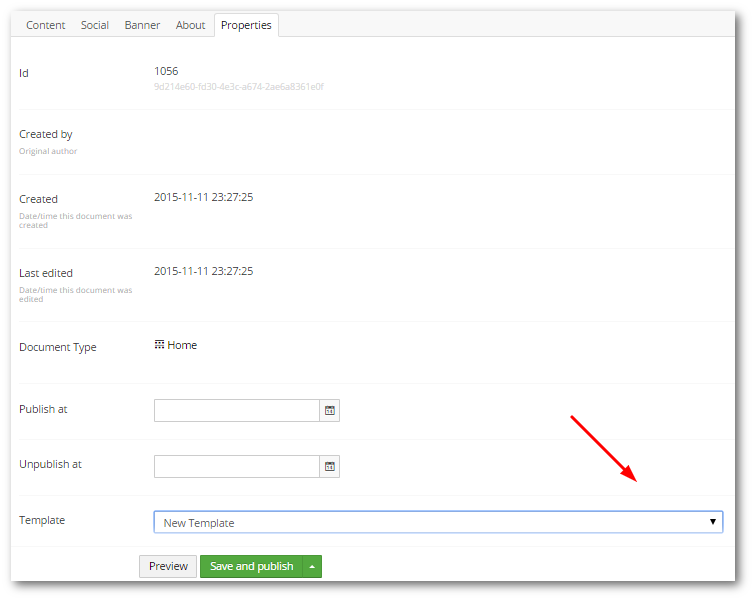 If you have set everything up correctly for your document type, you should see the template you want to select in the ‘Template’ drop down. After selecting the one you want to, hit the ‘Save and Publish’ button. Your template should now be ready to be used. 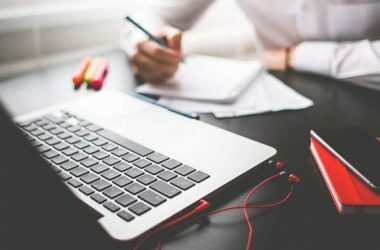 Here, we pick out one of the most popular hosting company in Europe, HostForLIFE.eu, who offer outstanding best and recommended Umbraco hosting. HostForLIFE.eu has been recognized as the most specialized company in the Windows hosting industry in Europe. The regular price of HostForLIFE.eu Windows ASP.NET Shared hosting Plan is €3.00/mo, €5.50/mo, €8.00 and €11.00/mo for the 3 years, 1 year and 3 month plan. As the most reliable Umbraco hosting company, HostForLIFE.eu guarantees at least 99.9% uptime, meaning that customer’s websites can be accessible at any time on the web. 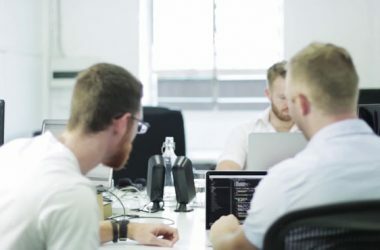 They have included ASP.NET framework support on all their best and recommended Umbraco hosting plan.